I'm happy to welcome back guest blogger Don & Heidi from EatSleepCruise.com! They've got another really interesting blog post to share with everyone today about what I consider to be one of the coolest features on any Royal Caribbean ship. Enjoy! Inside cabins, by their nature, can sometimes feel claustrophobic. 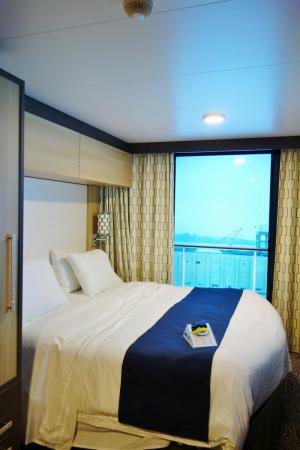 While we almost exclusively stay in interior cabins, as a cost saving mechanism, we admit, they do sometimes feel closed off from the rest of the cruise ship. Royal Caribbean must have heard our pleas when designing the Quantum of the Seas. To enhance the experience in these interior cabins, and bring travelers one step closer to the ocean, this innovative ship offers “virtual balconies”. Yes, those staying in interior cabins can now have a real time view of the outside world. 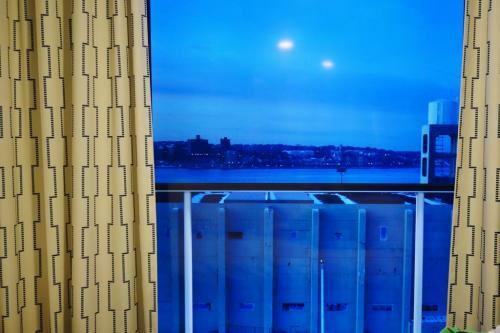 These virtual balconies are really 80" 4K LED Sharp Aquos screens that pan floor to ceiling, and through the use of technology, project real time video and sound. There are even curtains on the side of screen to complete the effect. What are these technological wonders like you ask? 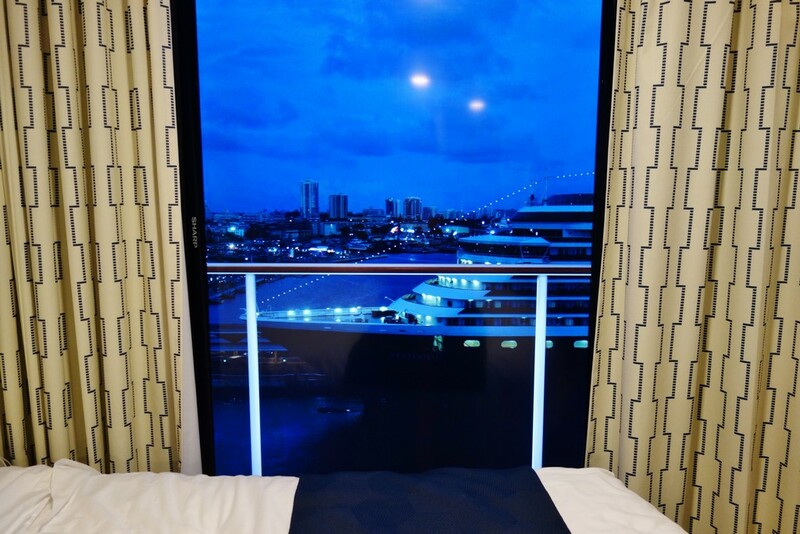 Well, we recently spent 8 days sailing on Quantum of the Seas and can give you a detailed description of our experiences with these new portals to the outside world. Yes, the virtual balcony is on as soon as you enter your inside cabin. We stayed in room 10-207, portside. 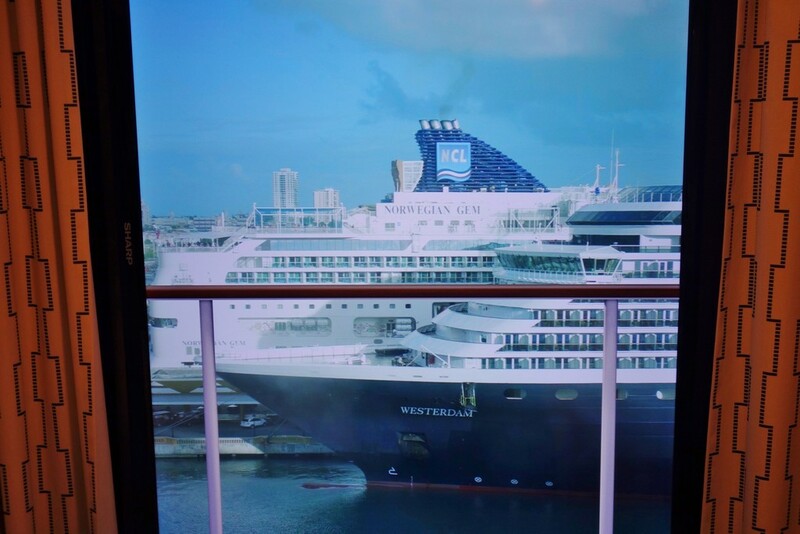 This meant that our virtual balcony was actually displaying the view from the starboard side of the ship. Getting on the ship at Cape Liberty, NJ, the view is not too spectacular. But, it was pretty cool to step into your cabin and be able to watch the action outside. 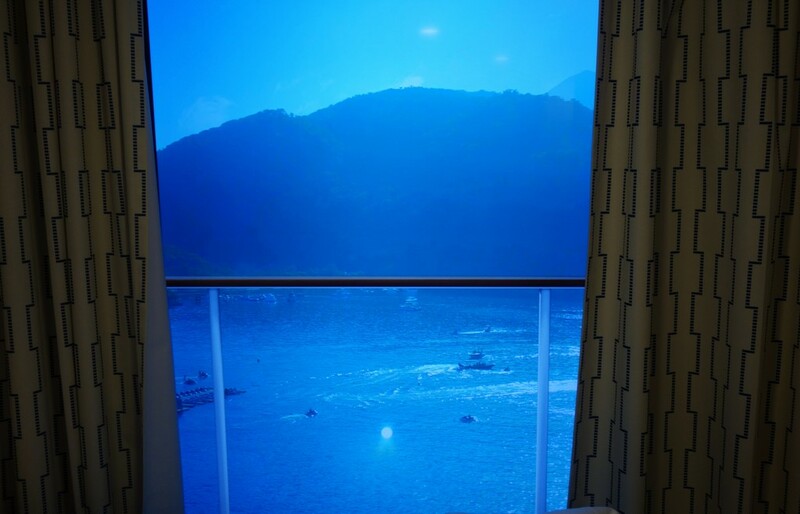 Waking up to an ocean view is one of the reasons travelers love to cruise. 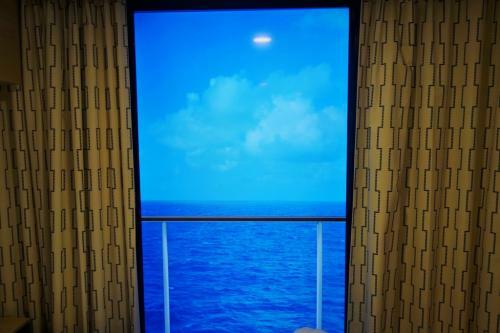 Now with the virtual balconies, even those in an inside cabin can wake up to the waves in the ocean and the sun. It was our first full sea day that we appreciated the resolution of these screens; the colors of the ocean and sky were crystal clear. It was also great to wake up and get a feel for the weather outside. On Day 3, our second full day at sea, we were able to tell that the weather was much nicer than on Day 2. Seeing the Port from your virtual balcony is really quite impressive. The 4K, high definition view gives you a level of detail that is eerily life-like. When we arrived to San Juan, on day 4, there were already two ships in port, and it felt like we could reach out and touch them on our virtual balcony. What was even more amazing was getting to see one of those ships, the NCL Gem, sail away. 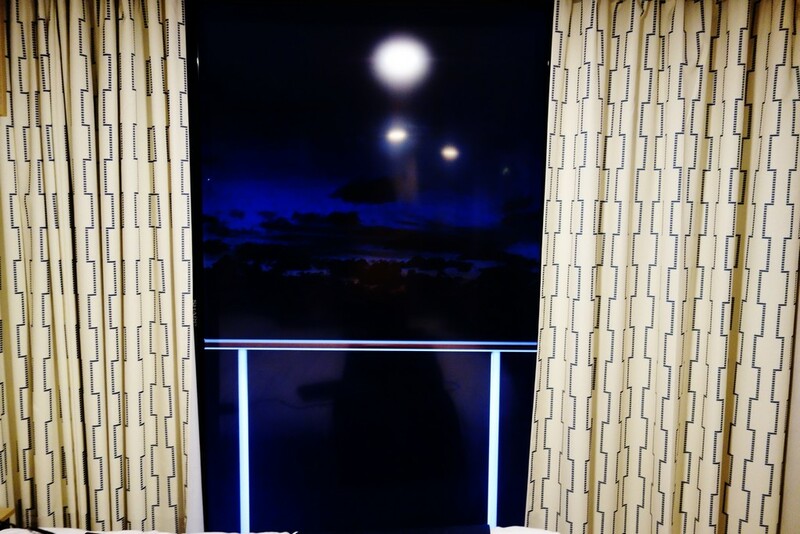 This is something we would have normally missed on a typical inside cabin, but we were able to experience everything via our virtual balcony. The virtual balconies are always on (if you so choose), so even at night there is something for you to see. During the overnight we had on Day 4, we got to witness the other ship in port, the HAL Westerdam, turn on its exterior lights at dusk. With the resolution of these screens, you can actually see people walking around the other ship. It’s a new dawn, a new ship, and we are feeling good. 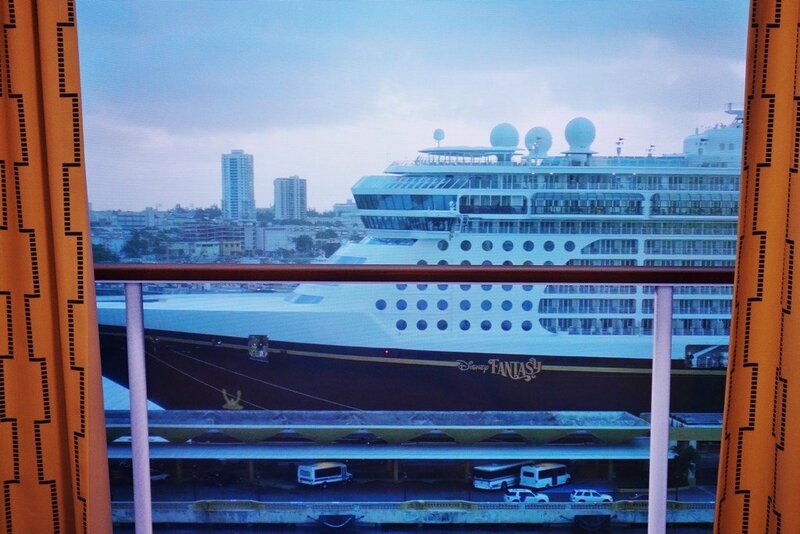 This morning, we awoke early to see that Disney Fantasy was parked where the NCL Gem had been yesterday. HAL Eurodam also pulled in to port a while later. None of these changes would have been apparent to us if it weren’t for the virtual balcony, or a trip to the top deck. Seeing another ship sail away is one thing, but watching the real time sail-in to a port from the virtual balcony is an entirely different experience. During this cruise, we got to watch Quantum of the Seas dock in Labadee, and it was quite the show. We were able to get a few minutes of the sail in on video. While the video does not do it justice, it does give you a sense of how “real time” the displays are as you are able to see the ship’s position in relation to the land as she is being docked. It was not until day 6 that we learned there is a remote control to turn the virtual balcony on and off. All along, we had been treating the virtual balcony like a real balcony and pulling the curtains closed at nighttime to block the view. But, it was here on day 6, when we returned from Labadee, that we first heard sound. Yes, the virtual balconies have sound, at least when it works. When we arrived back in our room after our outing in Labadee, we could still hear the music from the performers on the dock. After sailaway, we could also hear the sounds of the ocean. At this point, we realized it might be difficult to sleep now, so we asked our stateroom attendant if there was a way to turn off the sound. Apparently, we were missing our remote control all long that allows you to control the images and sound, a simple on/off and mute function. 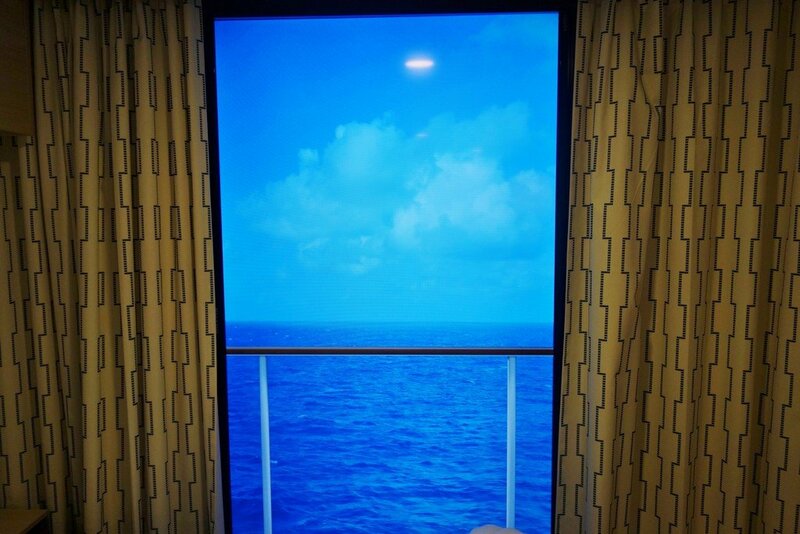 On Day 7, we slept in a bit, but when we awoke, we turned on the virtual balcony and were greeted with beautiful sunshine and the sound of the waves. The sound really gives the virtual balcony a much more authentic and realistic experience. Later that day, we returned to this beautiful moonlight night, but noticed that our sound was no longer working. Guess the technology hasn’t been perfected yet. Like all good things, they must come to an end. 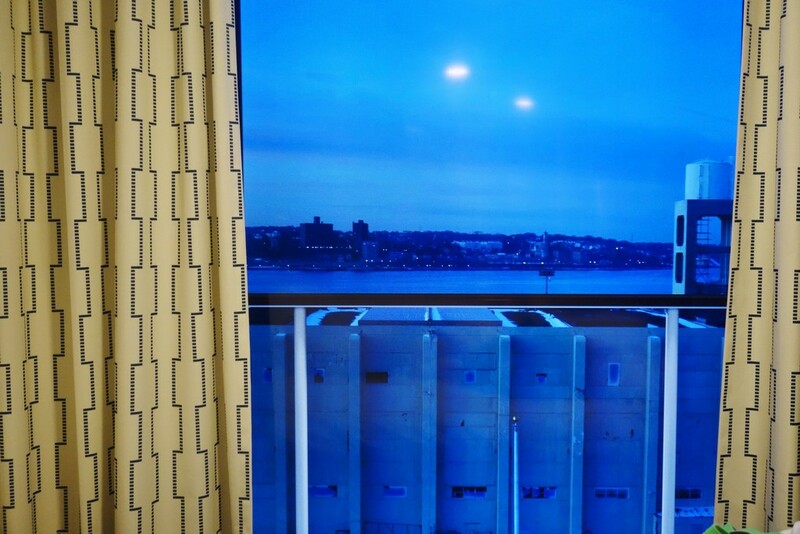 Even when arriving back at port, to begin the trek home, the Quantum of the Seas virtual balconies were there to show us what it was like outside, complete with a trace snow cover. 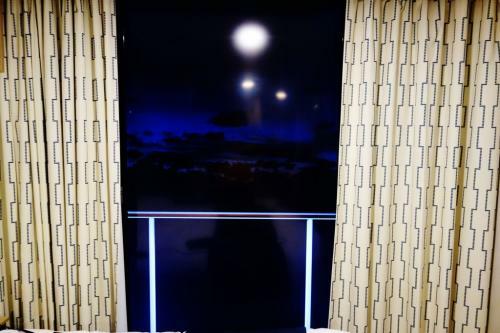 Even though this was our good-bye, the virtual balcony was now ready to greet some new guests and provide real-time views for those more economical cruisers! While I would not replace the virtual balcony for a real balcony, if you are looking to save some money when sailing on a Quantum class ship, the virtual balconies are a really nice enhancement. We are not sure that we would pay more for a virtual balcony, if there were additional costs down the line, but for the time being, these high tech additions make your cruise more enjoyable and are a definite WOW. We are sailing on Anthem of the Seas in 2016, and we are looking forward to our virtual balcony views on that new ship!